Certainly this is a Double Benefit Scheme for your blog or website. If you write in popular blog and forums with a link back to your site you will get two thing at a time. Number one is Backlink. And number two is visitors! So why do you skip this effective method of SEO? Different Social Sites: Twitter, Facebook, Google Plus etc. Social Bookmarking Sites: Digg, StumbleUpon etc. Search Engines: Google, Bing, Yahoo and others. Friends and Acquaintance: People who are requested by myself to visit my site. Engaged Users: It's my pleasure to get some engaged visitors in my site. Recommendations: Sometimes a few number of visitors refer my site to their friends. Backlinks: The last but not the least one. A huge number of visitors come from the links that I made to different forums, blogs or other websites. Today I'm gonna talk about forum posting and blog posting. I've already said that this is a double benefit scheme. You are getting Backlinks as well as visitors by posting on other sites. But there are some rules you should no. If you skip the rules it will be really tough to get visitors from Backlinks! Select the popular forums and blogs in your country and foreign countries. Make sure they have enough visitors and most of the visitors are active. Create a profile for you. There should be an option to put your blog or website's link. You should give the link there. Write the uncommon topics which are very exclusive. Make sure the topic is interesting and can attract people most. Carefully place your link in the post so that visitors never get angry. And never try to force them to visit your site unnecessarily. Otherwise they might think you're spamming or deceiving them. Never get nervous or aggressive by the negative comments of the readers. Some of them should be really stupid and they will try to misjudge you. In this case, you can pursue them. If they don't change then reply them with a satisfactory point. Try to answer the question (if any) in a proper way so that the person is grateful to you. Try to focus on new and interesting topics. Before you write, you should search in that site whether this topic is discussed before or not. If it is discussed earlier but not strong enough then you can take a chance to write the topic again. You can also ask the reader to visit your site politely. But before that you should write the post in that site in detail then you can suggest them to visit your site. If the admin of that site is not pleased with you then he may warn you. In that case never misbehave with him. Keep in mind that it's your loss if you got banned from that site. Create an image of yourself on the forums you are writing. So that people treat you with care. Thus you will get some loyal persons. If someone detects any mistake of you, thank him and say sorry. While others show hostile behavior with you, never take it personally. Try to avoid their misbehavior if they are wrong. But also think- are they really wrong or right? If they are right then you should apologize. This is very useful and easy way to create Backlinks Though only creating online accounts can hardly give you traffic they can be useful to create link of your site. For example you can put your site's link on your Twitter, Google Plus or Facebook account. Or in any other sites where there is a chance to create a profile there should be an option to give your website's link. There you can put your home page URL. At least it will create a link of your site. Try to avoid using your main email ID. Use a secondary ID that is not very important for you. Avoid using your important account passwords. Never use your email, facebook, twitter or wordpress password. Choose an easy to remember password for non important accounts like that- abc 123, 12345678, abcdef etc. If a site forces you to post on their site through your facebook profile, how do you backlink. So carefully select the sites where you can create links for your site. You're always allowed to create back links in Marks PC Solution. Few days ago we implemented Disqus comment option in this site. But as it doesn't allow links, we removed it. 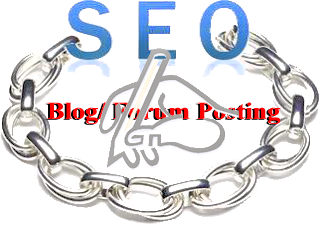 wow, It's really a good article about how to get quality backlinks. Thanks for your sharing. Web applications like StumbleUpon can bring visitors to your posts with rates starting at $.10 per visit. This is a good idea. I also use Stumble Upon for my site. Really great idea..I like this blog..
Stay with us to get more . . . This is very useful and easy way to create Backlinks Though only creating online accounts can hardly give you traffic they can be useful to create link of your site. For example you can put your site's link on your Twitter, Google Plus or Facebook account. Thanks for the comment. Stay close . . . Thank you for the great article I did enjoyed reading it, I will be sure to bookmark your blog and definitely will come back from again. This is good.I like this post very much. I think the admin of thіs sitе is really wοrκing hard for his web рage, ѕince here еverу data iѕ quality based information. Hi there, nice post and a good source of information. It really shows that you're an expert in this field. Thanks for sharing. Keep it up! What is Virtual Memory and Why it is Necessary? Backup your Blogger Blog before It's Too Late!